So after a winter of hmmmm'ing and hawwwwwi'ing reading and planning i finally settled on a coop idea. So It got made into a frame. We're now well into our first winter and so farthe coop is doing great. The plexi glass door is out and a insulated door in place once we hit temps into the -20C range. when hovering around zero we kept the door open. We installeda light socket and have a 40w bulb in it (incandescent) and a heated water bowl in place. Birds are happy as clams and we have no additional heat. Now that the birds are locked into the coop the light is on for about 12hours a day we are getting a good amount of eggs. The birds seem to be more then warm enough happily running around in the coop and roosting. Only issue we've had is our heated water bowl (Dog bowl) is a few times the girls have gotten their head feathers wet. if the chickens run under the coop it's hard to get at them- you can go outside and get into the bottom doors- but then they run out into the run- go back into the run and back under the coop they go. bit of a pain. if the coop was smaller or my arms bigger this wouldn't be an issue. There isn't any light coming into the coop- the ventilation holes are under the roof of the run- and so very very little light comes in- this will be an issue come winter. And the chickens seem to not be comfortable in the coop unless we put a night light in there. I don't want to put windows in as i'm worried it will take away too much of the insulation. We have solved thisissue for winter by installing a plug in light fixture and a 40w bulb. Birds are busy producing lots of eggs. Good job on this coop. Be nice to see more pics of inside so we know what your arms can't reach. Looks great. But would be nice to see a little more detail. "Would love to see more pics of the build!" 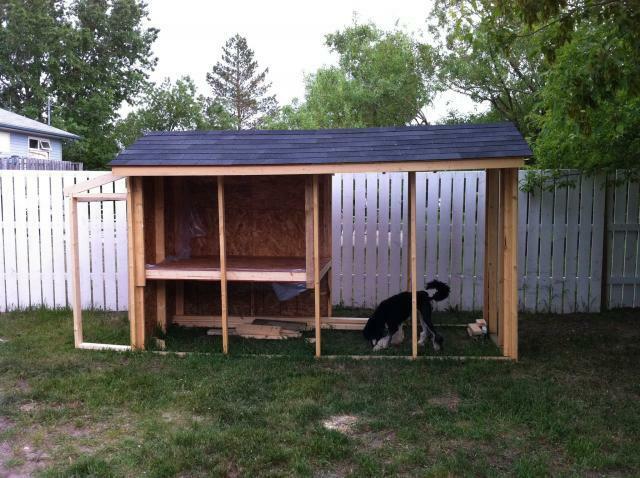 I bought Heather Bullard's plans and have almost finished my coop. My six babies are in and are almost four weeks old. I keep their heat lamp on at night. It's been in the 50's. I'm in Northern Calif just north of San Francisco. These are my first chickens. We will be building them a run in the future. 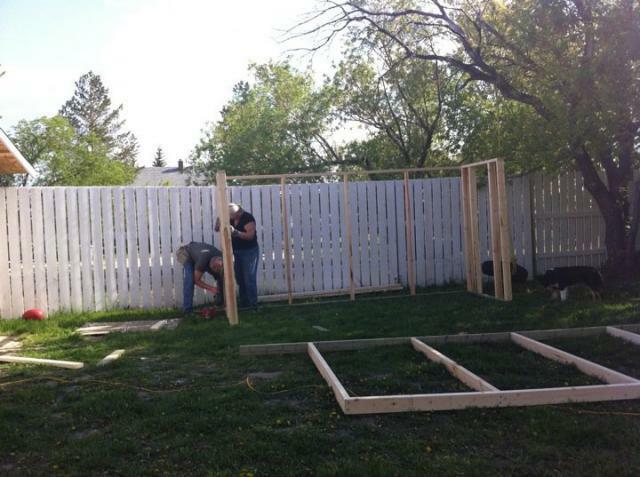 Putting a roof on our house so construction is stalled. Shingles and another roost and the cuppola are the only things that need finished. I'll post pictures of the coop. Nice talking to you.